This is a classic cookie that I grew up with and it is one of my dad's favorite cookies. What is a 'Snickerdoodle'? 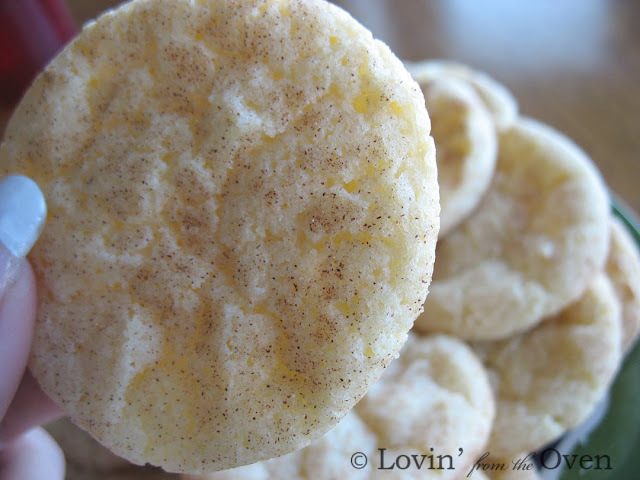 This cookie could be described as a crisp, buttery sugar cookie that is rolled in a mixture of cinnamon and sugar that has a crackled top. A different author suggests that the word "snicker" comes from the Dutch word snekrad, or the German word Schnecke, which both describe a snail-like shape. Yet another theory suggests that the name comes from a New England tradition of fanciful, whimsical cookie names. There is also a series of tall tales about a hero named "Snickerdoodle" from the early 1900s which may be related to the name of the cookie. Now, that's my favorite meaning behind the name! Anyway, it is a fun cookie with a fun sounding name! 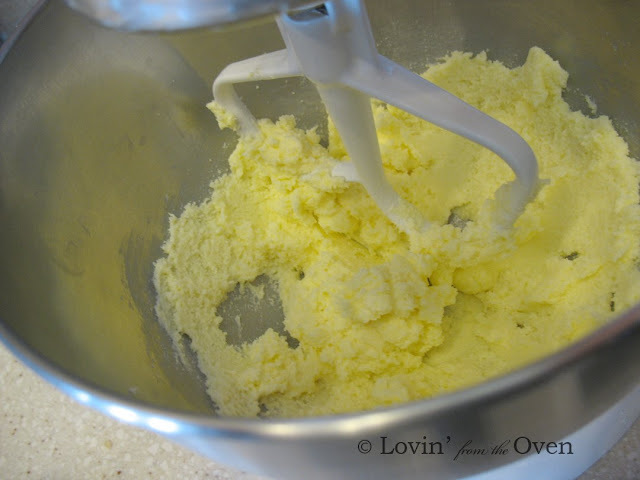 I like 'I Can't Believe It's Not Butter'...because I can bake with it. 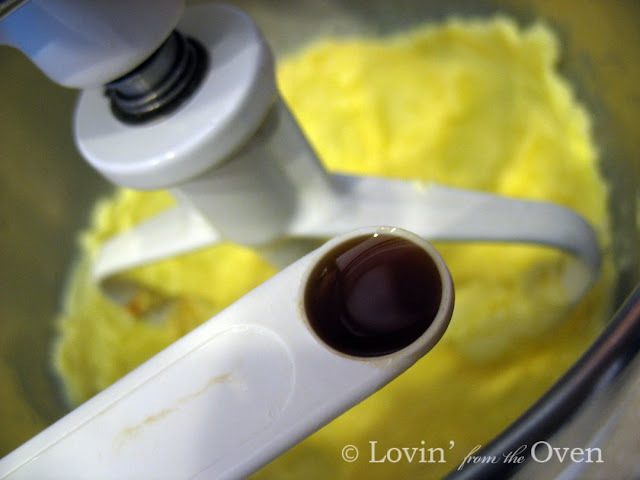 I love this tool from Pampered Chef. 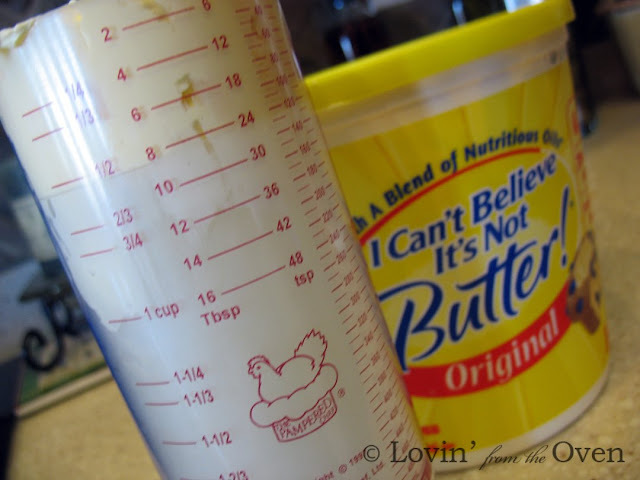 It measures and dispenses my margarine, shortening and peanut butter easily and effortlessly. 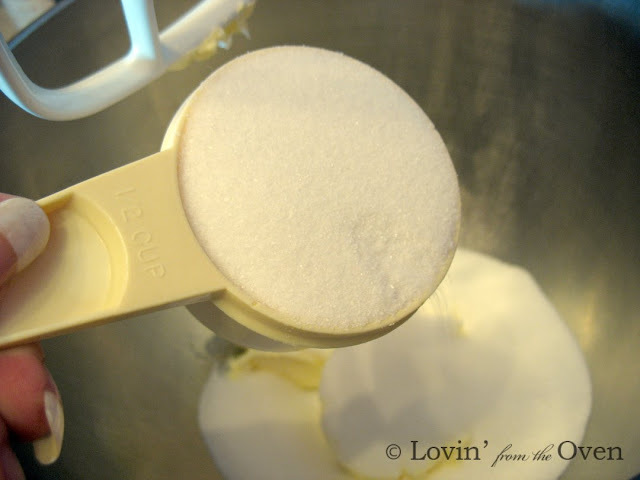 Add 1 c. of sugar. 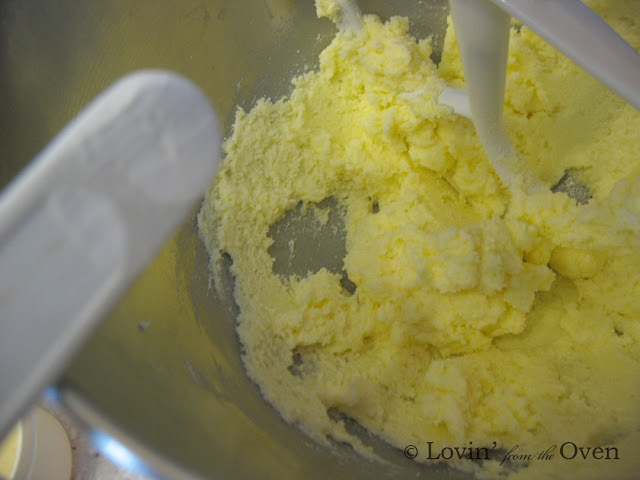 If you are using butter, it is easier to mix it for 30 seconds to soften it and then you can add your sugar. 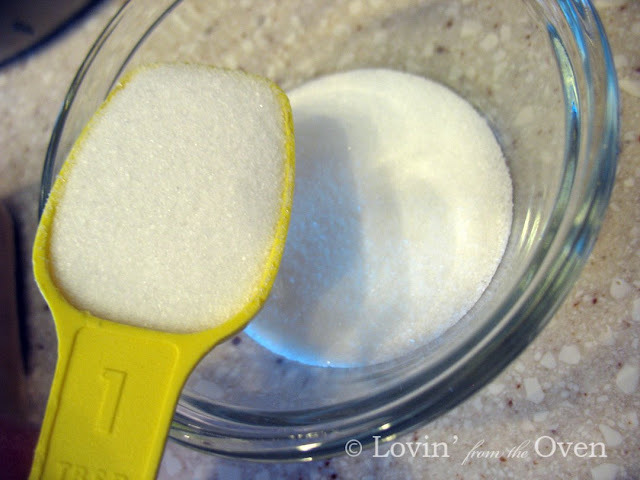 Add 1/4 t. baking soda. 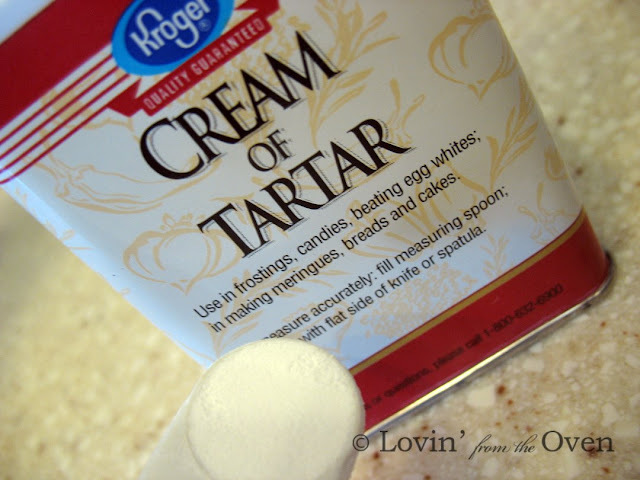 This cookie uses cream of tartar. 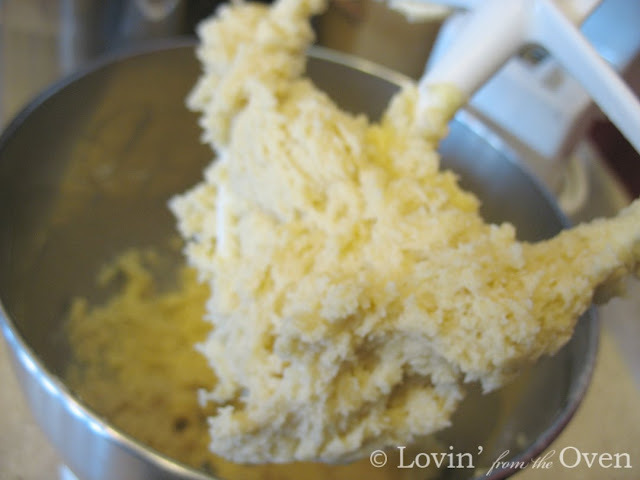 I don't know what it is, I just know I use it in this cookie recipe. Exclusively. 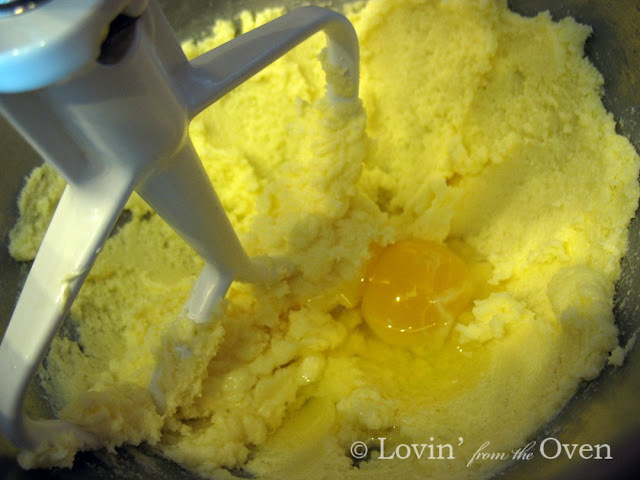 Although other uses are to give volume for beaten egg whites and provides a creamier texture in candies and frostings. Dump in 1/4 t. of this good stuff. And mix it up good. The real stuff, not imitation. Once you try the real stuff, you never go back. 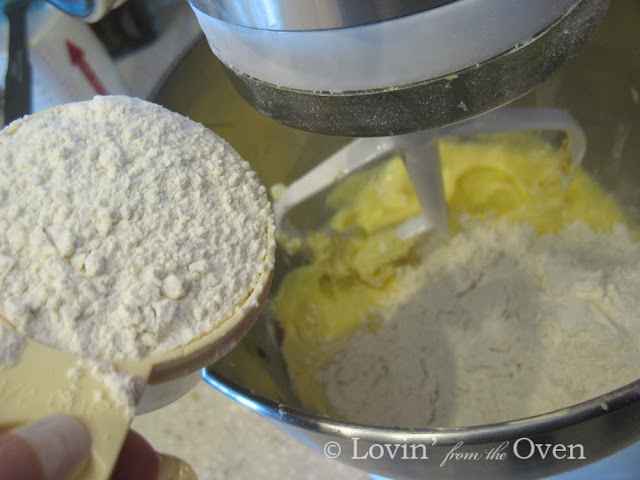 Add 1 1/2 c. all purpose flour. And maybe the bottom of the bowl. 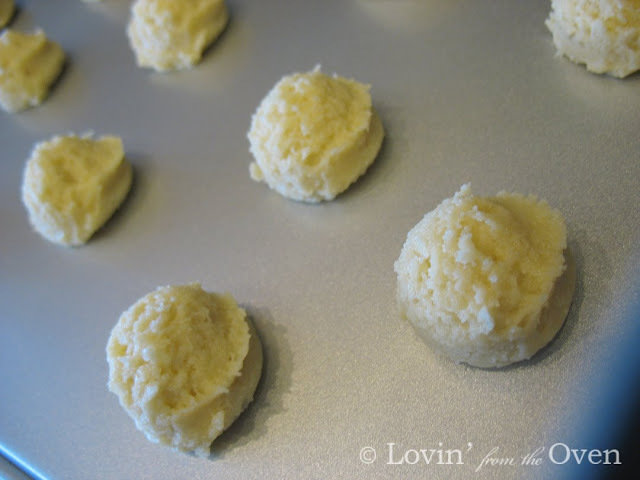 It is a very soft dough, so refrigerate it for an hour or stick it in the freezer for 30 minutes. The dough will be much easier to handle. 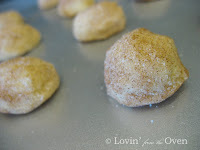 If you want your Snickerdoodles to not be so flat, add 1/4 cup more flour to the dough. I use my trusty 2T. cookie scoop and put them on my cookie sheet. 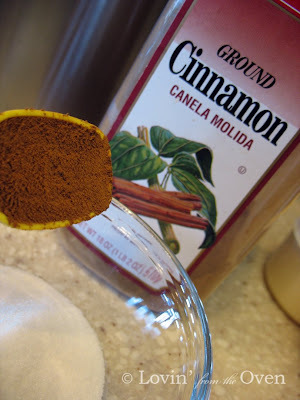 and add 1 t. of ground cinnamon. 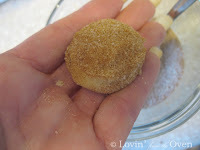 This is what makes this cookie a snickerdoodle. Say this word out loud. It's fun to say! 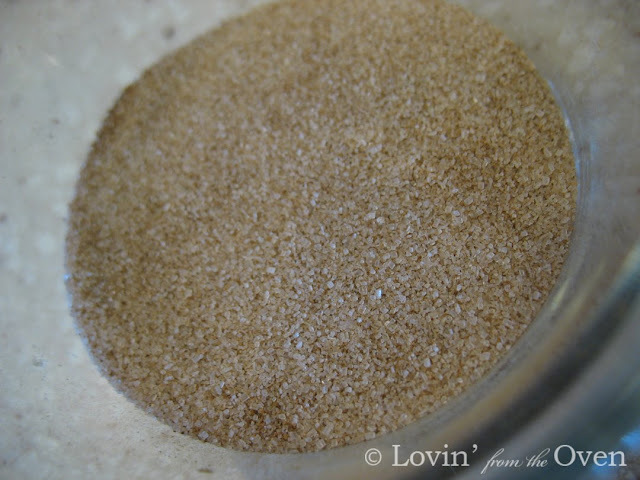 Put your cookie in the bowl and generously cover it with the cinnamon/sugar mix. Don't be afraid to be messy. Pick up the ball and tap off the excess. Put them back on the cookie sheet, about 2" apart. Bake these babies in a 375 degree oven for 10-11 minutes until golden brown. If you can't wait, that's okay. 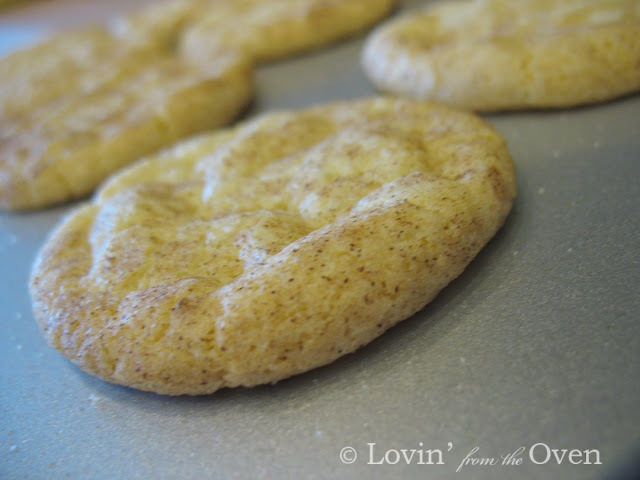 Thanks for the background information on Snickerdoodles. I love reading books that tell how food got it's name, where it orginiated, etc. Great post. 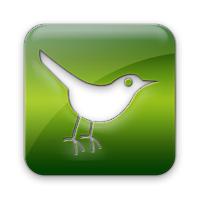 You've received the meme award on my blog. 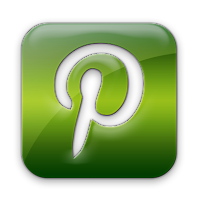 THanks for such great postings! An award? Really?!? Scate, thank you SO much!